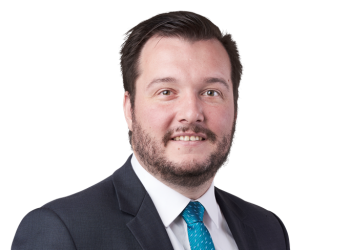 James is Special Counsel of our Wills and Estates Team. As an Accredited Specialist in Wills and Estates, he expertly assists clients with estate planning, administration and litigation. James prepares Wills and Powers of Attorney, as well as assists clients with structuring their estates. He sensitively and expertly guides executors and beneficiaries through the process of estate administration. He also helps clients with estate litigation, if a will needs to be challenged or an estate defended. James enjoys advising clients not only on the result, but also the best route to get there. James enjoys giving clients advice on all of the options that may be available to them, before tailoring a solution that suits their individual needs. He has a special interest in the Guardianship List of Victorian Civil and Administrative Tribunal (VCAT) and has had success in removing and defending administrators. James accepts referrals to act as independent administrator for persons with a disability. James was admitted to practice in 2009 and joined McKean Park as Special Counsel in February 2018. He presents at the Leo Cussen Institute, Legalwise Seminars and other education providers. James has been listed as a Recommended Wills & Estates Litigation Lawyer for Victoria in Doyles’ 2016 Guide to the Australian Legal Profession. Additionally, McKean Park has been Recommended as a Leading Wills & Estates Litigation Law Firm in Victoria. James is also an active member of the Society of Trust and Estate Practitioners (STEP). Our lawyers are assisted by state-of-the-art technology. You can get started online with James right now using our intelligent online induction. Find out where you stand and prepare to make the most of your initial consultation.